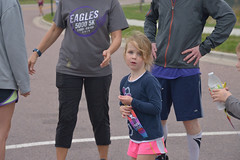 Get all the details and register for the 2017 Eagles 5000 5K & KidsK online at WebScorer.com. We’re excited for the upcoming 6th Annual Eagles 5000! We look forward to another exciting race! Note: Prices for the 5K increase after Monday, 9/11. 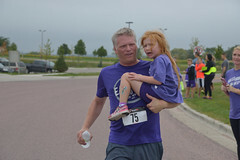 The 6th annual Eagles 5000 5K and KidsK date has been set for Saturday, September 16, 2017. Please mark your calendars. More info to come. 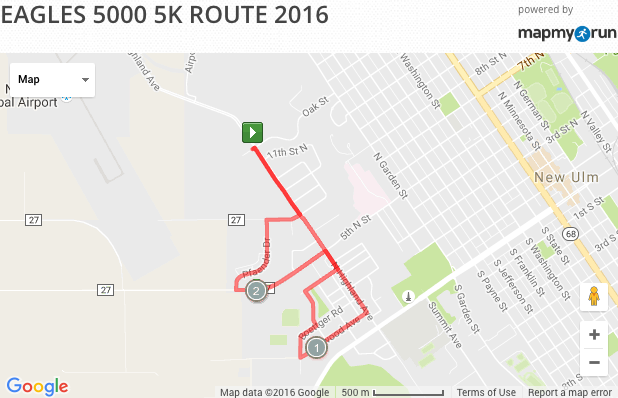 A new route is set for the 2016 Eagles 5000 this year. It will be starting and at the NEW New Ulm High School at 1600 Oak Street! It’s a flat, fast course, no hills. Check it out and register today! 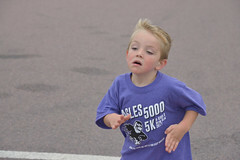 Get all the details and register for the 2016 Eagles 5000 5K & KidsK online at WebScorer.com. We’re excited for the upcoming 5th Annual Eagles 5000! New this year, both runs will be starting at the newly built New Ulm High School on Oak Street. We look forward to another fun-filled day! Note: Prices for the 5K increase after Wednesday, 9/14.